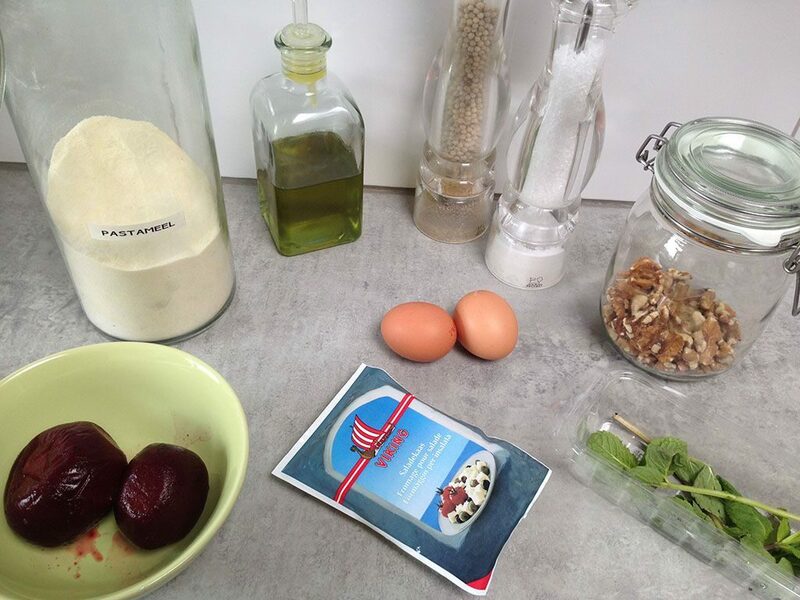 CREATE a smooth red beet puree. You can use a blender, food processor or even press them through a fine sieve with a ladle. 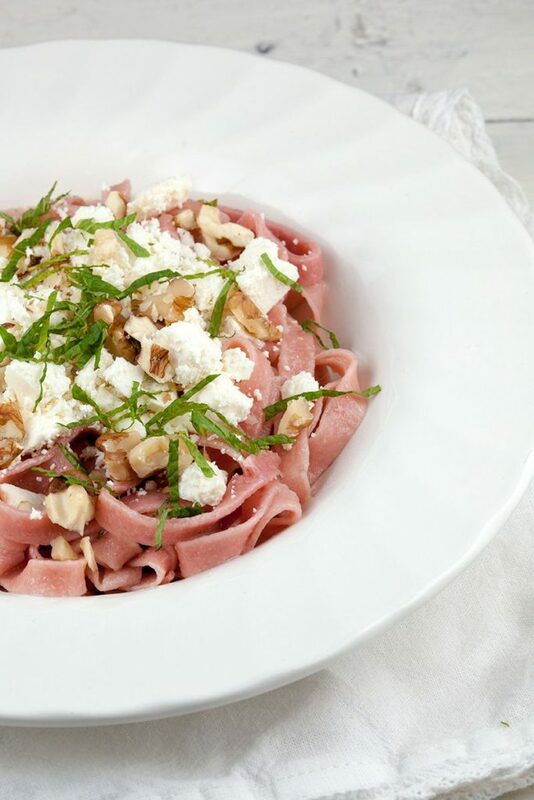 CREATE a pasta dough by combining the eggs with the beet puree and a tablespoon of olive oil. Gradually ADD the flour until you’ve reached a dough ball. Depending on how wet the beet puree was, you may need to add some extra flour until the dough isn’t sticky anymore. WRAP the dough with cling film and refrigerate for an hour. Meanwhile coarsely CHOP the walnuts and crumble the feta. FILL a large pan with water and salt and bring to a boil. 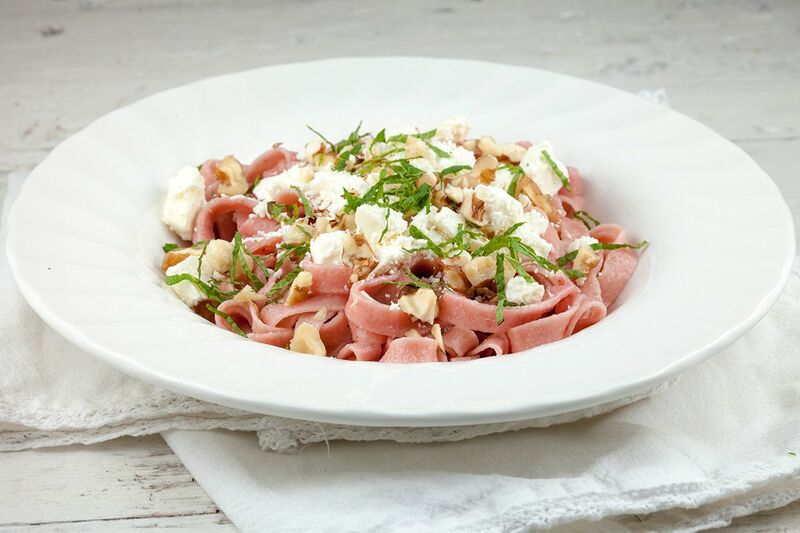 Use a pasta machine to create tagliatelle or spaghetti. You can read here how you can do that. 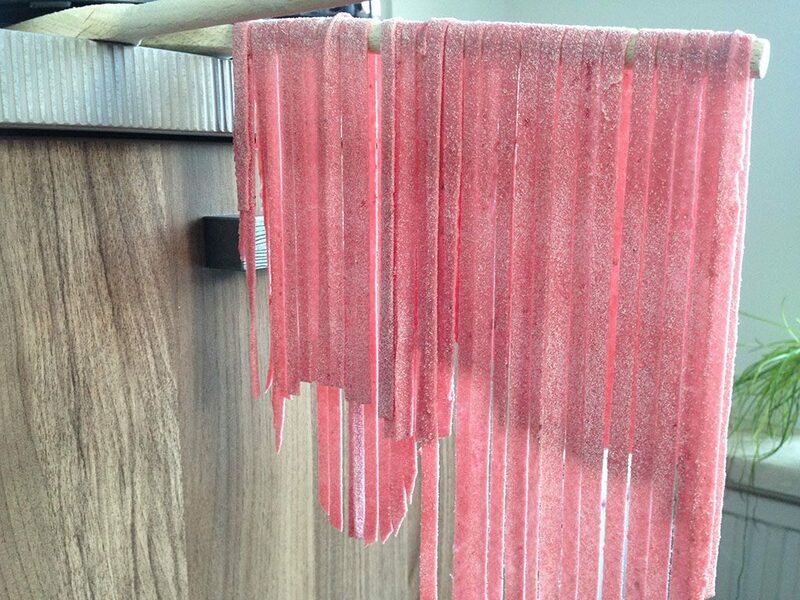 You can hang the pasta while you wait for the water to boil. Or you can add enough flour to prevent it from sticking and place it on a plate. As soon as the water is boiling, ADD the pasta and cook for about 3 minutes. Don’t overcrowd the pan, otherwise they will stick together. I always like to use a meat fork to check if the pasta isn’t sticking together in the water. DRAIN the pasta and drizzle with olive oil and season with pepper and salt. 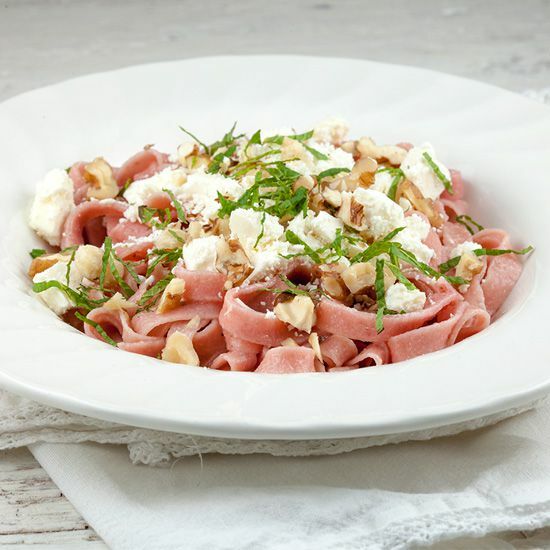 DIVIDE the tagliatelle over the plates and ADD the crumbled feta and chopped walnuts. CHOP the mint leaves at the last second to prevent them from discoloring and DIVIDE them over the plates. Enjoy!